Hi everyone, it’s been a very long time (over a month) since my last blog entry. Isincerely apologize for the massive gap in time, I have had a lot on my plate and for the interest of time I have been allocating my time towards posting Youtube videos rather than blog posts. I know later in the year things will change & I will be much more available to blog more regularly but as of right now I will try my best to blog at least once a week. Today I have an Indie polish to share with you – this was sent for my honest review by the lovely Demi from BaronessX on Etsy.com. I have been really impressed with Indie polishes lately and this is no exception. But first, I need to introduce a new OPI polish to my collection. 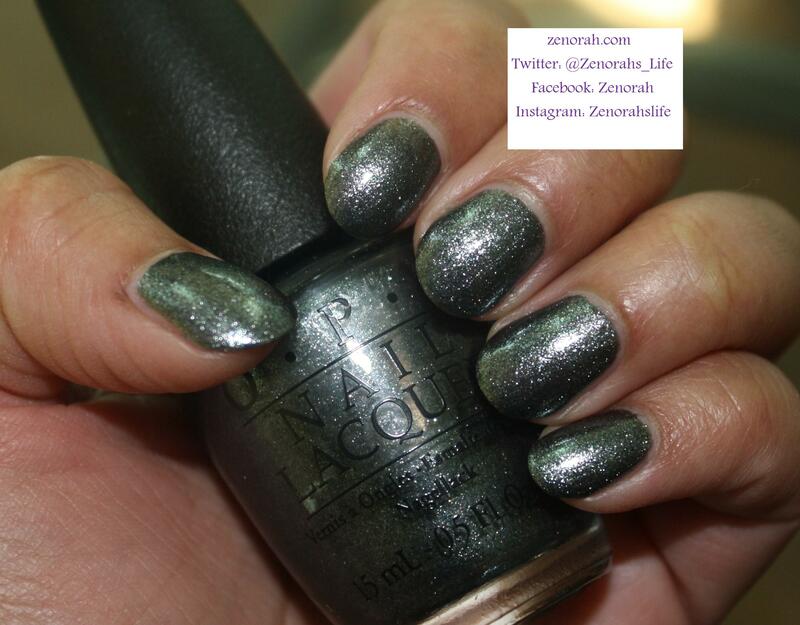 OPI ‘Lucerne-tainly Look Marvelous’ – is a gorgeous gun-metal slate grey shimmer polishes that was originally released in OPI’s 2010 Fall Swiss Collection but is now thankfully a permanent shade in their line up. I have been wanting this polish for a long time but kept over looking it, recently I picked this beauty up and it is a stunner! I can definitely see myself wearing this more in the Fall & Winter but it’s also very suitable for a night time polish year round. I can honestly see myself wearing this on a girl’s night out in both the Spring & Summer time as well. It was opaque on two coats, easy to apply and the dry time was less than 15 minutes. I think it’s a great alternative to black and it tip toes between rocker edgy and sophisticated chic. 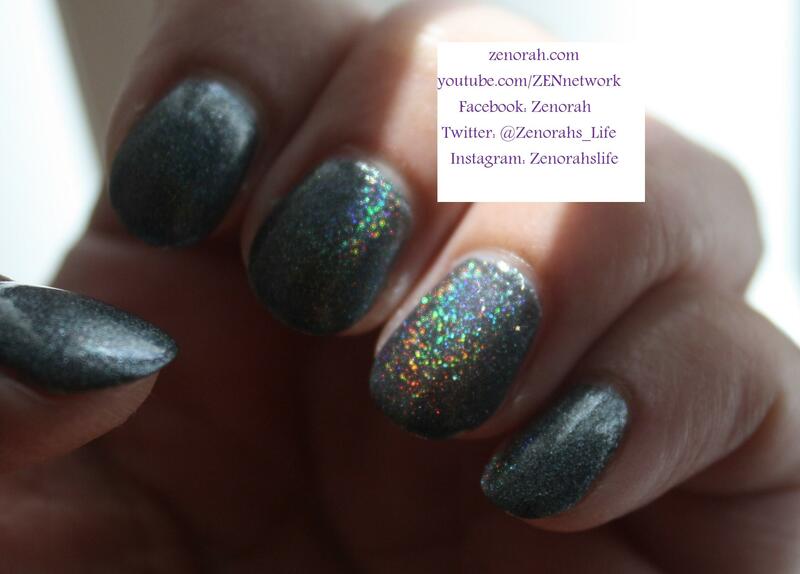 BaronessX ‘Holographique’ – is a liner holographic polish in a light silver base. 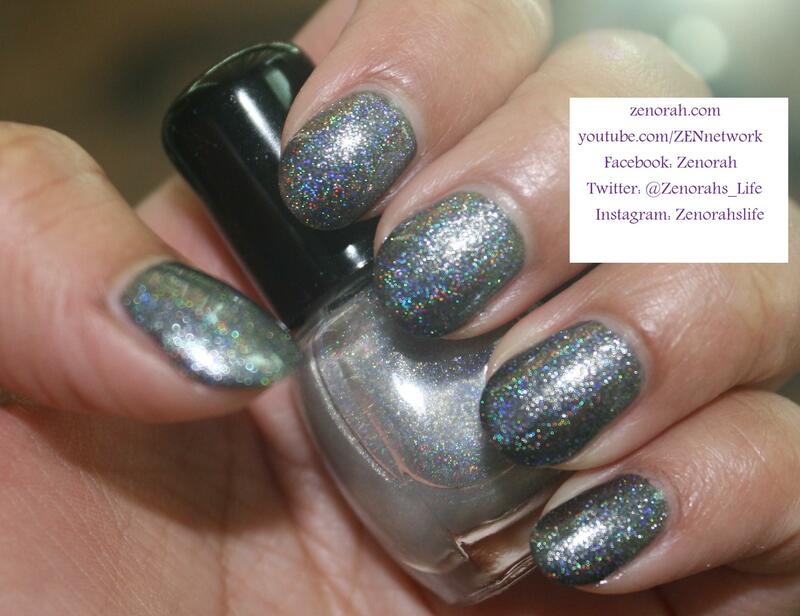 This is definitely a polish that can be layerd onto any other polish to create a holographic finish! 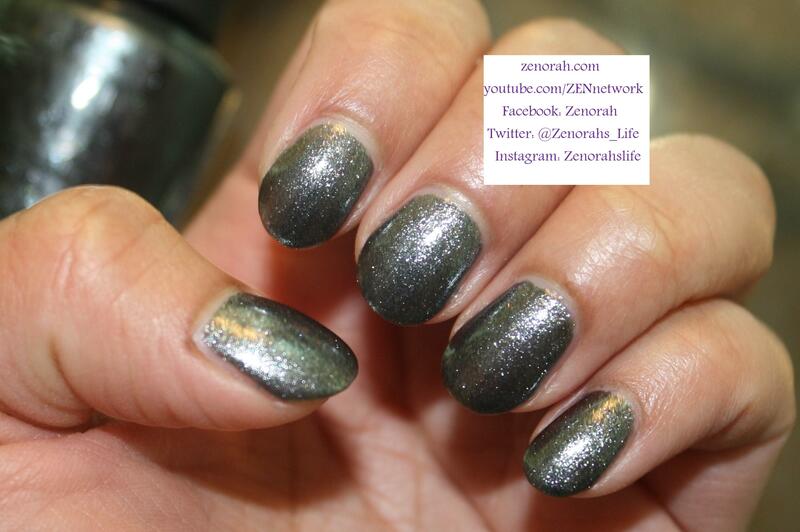 The used ONE coat of this polish to achieve the desired effect and as you can see, it’s a GORGEOUS one! It was easy to apply, dried within 10-15 minutes and had a glossy shine finish. 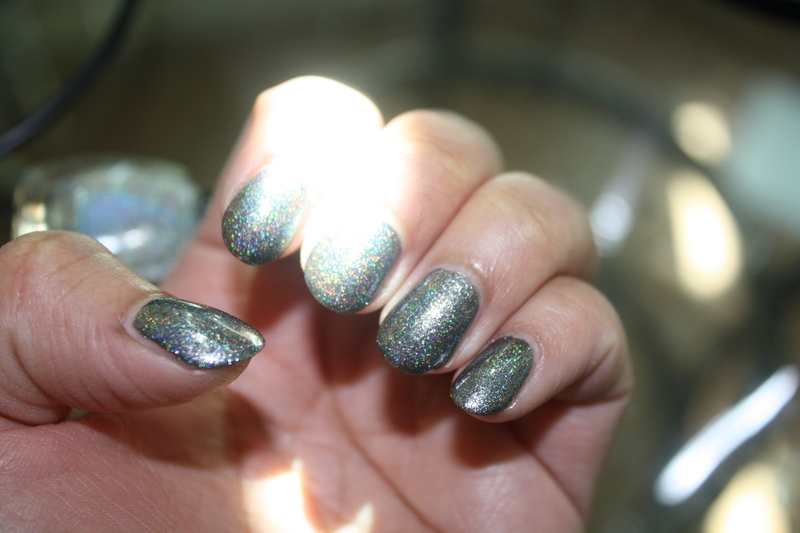 It was difficult capturing the holographic effect indoor but this holographic top coat is INSANE when in sunlight! 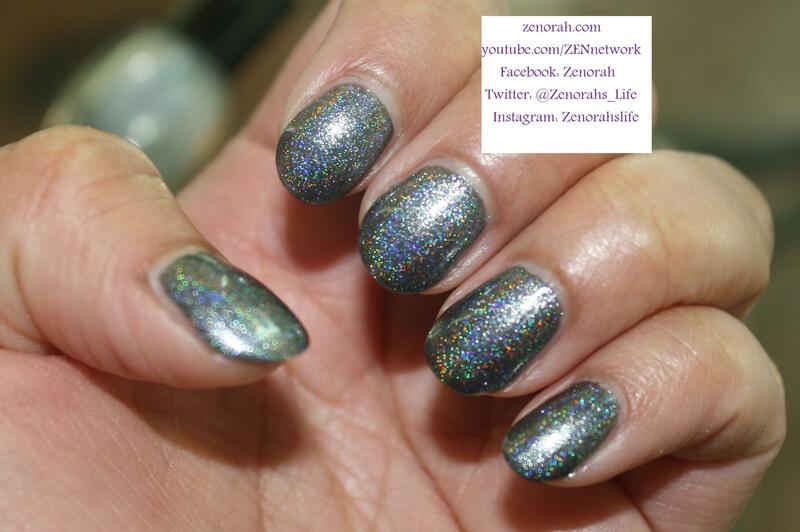 I have never seen such a prism, holographic effect on a polish to date. I do believe that this effect is mostly achieved when applied over a darker polish though. While the above photo is unconventional you can see how it sparkles and comes to life in sunlight but the linear holographic effect is lost indoors. I truly love this polish and highly recommend it but would prefer if it were labelled. I would definitely purchase this top coat if it was available in a bigger size and highly recommend it! *Thank you to Demi for providing this polish for review, all opinions are honest and are of my own. Do you own OPI ‘Lucerne-tainly Look Marvelous’ and/or BaronessX ‘Holographique’?